אני שמחה להודיע שההרשמה לסדנאות עם אנה דוברובסקה מפולין מתחילה עכשיו. אנה תלמד 4 סדנאות שונות, בכל סדנה וסדנה ילמדו טכניקות שונות. כפי שכולכן כבר יודעות אנה היא אמנית מיקס מדיה מוכשרת ביותר ובעלת סגנון אישי מיוחד מאד. אנה תלמד אתכן את סודות העיצוב שלה. תעשה לכן הדרכה על חומרים שונים בהם היא משתמשת ותיתן המון טיפים. בסדנאות נשתמש בחומרים אותם אנה מביאה איתה מפולין. הנייר בו נשתמש הוא בעיצובה ומיוצר עבורה בפולין. את הקישוטים המיוחדים אנה מביאה משווקי הפשפשים בורשה ומעוד מקורות והן יחודיים לסדנאות שלה. Do you ant to create a free-style, grungy layout, but you don’t have “suitable papers?” That is not a problem! 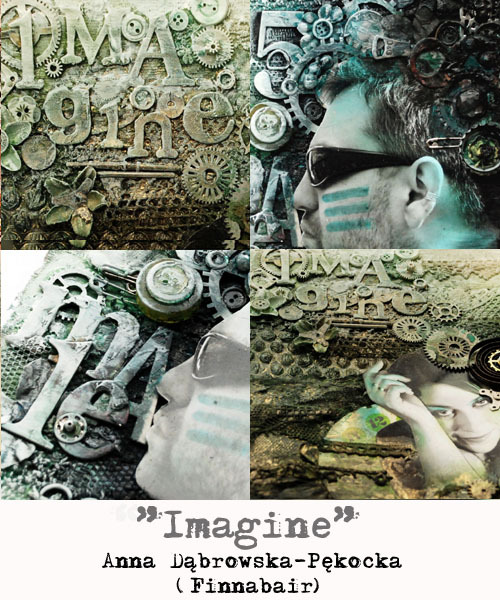 The most important thing in creative proces is using imagination. We are sorrounded by inspiring objects, which we can use for creating art of different kinds. Try to look around – and you’ll find real treasoures in your own house! Remember there are no boundaries: you may give as much or as little elements as you want, you may use medias, paint and inks…and whatever comes to your mind too! Don’t be afraid to mix and blend and let your imagination free – it is pure fun! 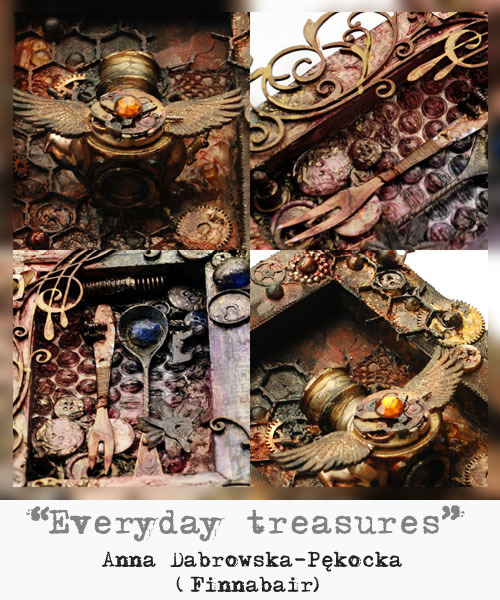 During this workshop I will guide you to create your own mixed-media canvas, including my favorite set of embellishments and textures, colored with my favorite Tattered Angels products. I’ll demonstrate possibilities of mixing different medias, gesso, scrapbooking supplies and found objects to get layers, details and unique, grungy look. This workshop is suitable for beginners and advanced scrapbookers – let’s get our fingers dirty together! Class time: about 3 - 3,5h. Have you ever thought about having your own, intimate space which will be just for you – without pressure, without fear and competition? Maybe yo feel you want to have more fun, to try new things and play with techniques... or you need a place for your personal notes, sketches, memos? Or maybe you are an idea collector? All this and more you can put in your Art Journal! How cool is this? Journals are best friends of creative people: they love experiments and new techniques, they are good listeners and always have time for you. You can take them wherever you go. Journals are never in bad mood – and they never say that your project is not good enough or not creative. Working in journal is fun, easy... and liberating. There are no strict rules, no boundaries, just freedom. All the meanings and the ideas are taken straight from the heart: you can realize all the crazy plans simply because it is YOUR Journal and you create just for yourself. During this journal class I'll show you how to make a useful, handy Art Journal from pieces of cardboard and different paper scraps: packages, covers, envelopes, brown paper – the possibilities are endless! Together we'll make an unique, mixed media cover and the first inspirational page. 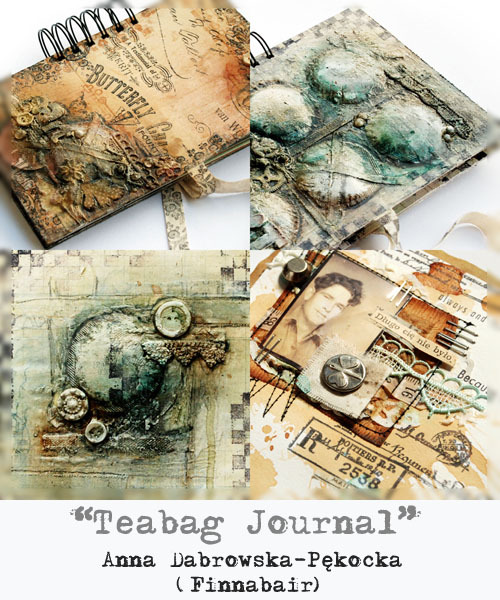 I'll share with you some of my journal projects and a bunch of my favorite techniques like stamping, creating texture and dimension using lace, paper scraps and found objects including such uncommon elements as teabags. I'll try to convince you to use different medias like gesso, watercolors or multipurpose glues and I'll show you the different possibilities of using sprays- also for traditional painting and creating shades and I 'll guide you to such crazy technique as tea painting. To sum up - you'll start your own, art journal which will reflect your taste and personality and you'll get a big dose of inspiration: I'll do my best to share my experience, give tips and I'll try to convince you to leave traditional, conventional thinking – you will be surprised what you can do with medias and tools which you probably already have in your kit or at home! During the class we will work both with products from top scrapbooking and mixed-media brands and flea market findings. We all have our favorite, old family photos, which surely deserve to be exposed in a really unique layout, with your own mixed media „personal touch”. Aren't you tired with traditional, multi-paper scrapbooking projects and popular embellishments? Let me inspire you with some really cool ideas forcreative, totally customized backgrounds – and - I promise – you will love the process of making them! You really don't need more than some ink, gesso, paint and paper to create an interesting composition! Let yourself to play with sprays, inks, stamps, pencils and watercolors and look through your stash in search for embellishments that you've already forgotten or didn't know how to use. Collect some old fabric, trims and paper tape and have great fun - the possibilities of using these supplies are truly amazing... and I'm sure you'l love the effect! 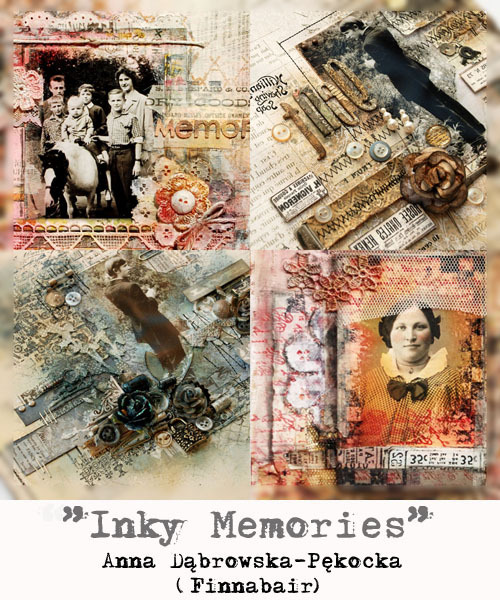 During this class I will share with you my experiences in creating non-conventional old-photo layouts or pages based on my favorite ink techniques: painting and drawing, spraying, ink-dropping, multi-layered stamping and distressing. I'll show you several finished projects which will inspire you to experiment with colors and textures, I will and give some tips about layout composition and page balance. I'll tell you more about creating and customizing embellishments, using vintage or flea market findings and I will show you some possibilities of using such supplies as lace, canvas, fabric and paper tape. During this class we will create together full size layout based on stamps, gesso and color products from well known manufacturers. 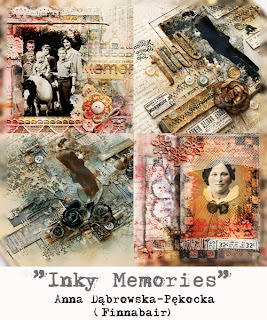 Make a vintage scrapbooking page or journal page with a color twist, play with layers and texture – it is so fun! Don't be afraid to express yourself.... and get your fingers dirty with ink! ביטול עד שבוע לפני האירוע יוחזר התשלום. מי שתבטל בסמוך לאירוע תחויב בתשלום אך תקבל את הקיט. יש אולי מישהי שנרשמה מבאר-שבע? יהיה יותר קל להגיע, אשתתף בדלק? יופי! אני מעוניינת להרשם לסדנת Inky Memories. איך להעביר את התשלום ומתי?